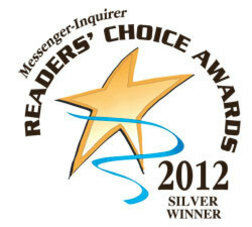 The bakery was one of five bakeries around the country chosen to win the award. Great HArvest Bread We believe a Great Sandwich requires Great Bread. In early 2005, we added made to order sandwiches. 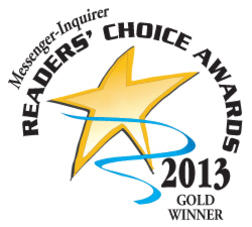 Partnered with our great breads, we use only the best meats, cheeses and garnishes. 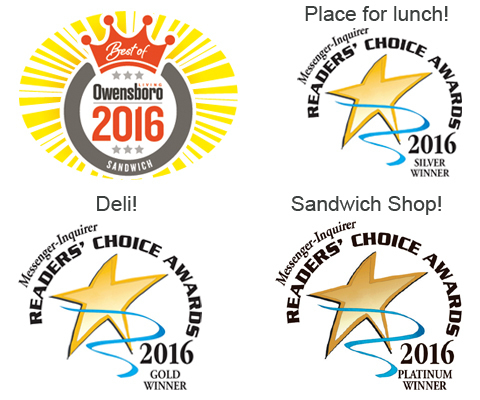 This combination earned us the awards for Deli and Place to have Lunch. You can have any sandwich dressed to your tastes. We can even toast it on our Panini grill – just the way you like it. 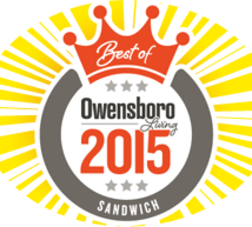 Stop in and try one of our Classic or Signature Sandwiches. While you’re here, try a free slice of fresh bread. Check out our cookies, muffins, scones, savannah (fruit) bars, brownies and no-bake cookies. We also make homemade spreads to compliment our many varieties of grain, breakfast, sweet and savory breads. 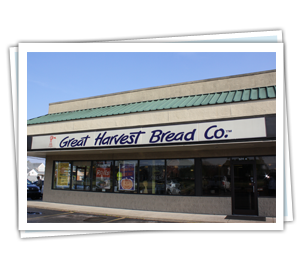 Earlier this year, Great Harvest received the prestigious “Phenomenal Bread Award” for the fourth time including 2001, 2007 and 2012. They have also been in the finals eight years including the last five straight. 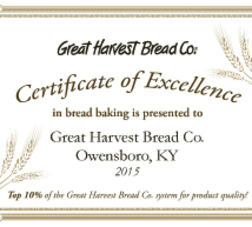 Great Harvest Bread received a Certificate of Excellence in bread baking for 2015! 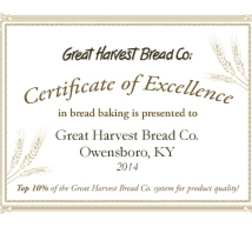 Great Harvest Bread received a Certificate of Excellence in bread baking for 2014! 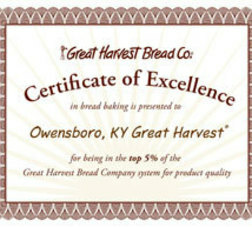 Great Harvest Bread received a Certificate of Excellence from their Franchise for Top 5% in Product Quality!